Fullback Important Role, Even If They Toil In Obscurity - New World Agency official website | New World Agency is a sports management firm that aims to provide elite athletes with unparalleled professional representation in North America’s most competitive and lucrative sporting associations. But don’t be too hard on yourself if you didn’t know the following names: Pascal Lochard, Alex Dupuis, Tanner Greenand Christophe Normand. He also mentioned Mike Maurer and Mike Bradley as other veterans who helped his transition to fullback and understanding that the more versatile you are, the more plays or positions you can master, the more valuable you become. That includes playing on special teams, where McCarty is on the kickoff, kickoff return and punt teams and a backup on punt return. Now he’s trying to pass on all the knowledge he gained to the next wave of Eskimos fullbacks. “We have a lot of good guys, guys who do different things,” McCarty said. “We’ve got a good group – Dupuis, Pascal, Normand, Greener is a nice young up-and-comer. He shows some nice skills. “Personally, I feel like I learned from the best in Matt Bert (Bertrand), so I have a responsibility to carry that torch for the tradition that somebody else helped lay down for other people. I do feel a responsibility to teach the next guys. “You’re still in the pit, so it’s kind of hard to look at it from that perspective,” McCarty said, “but I know from seeing alumni and talking to some of the greats who have come through, it’s a humbling feeling to hear that comment. 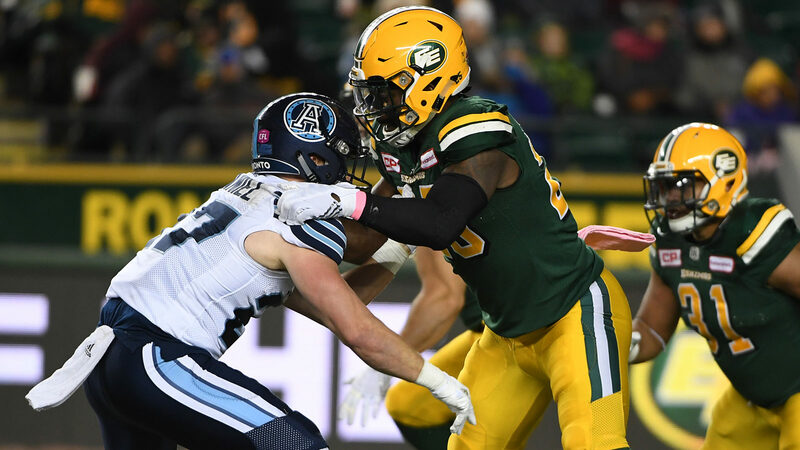 Dupuis, who is in his second season with the Eskimos, received some notoriety when he was penalized twice in the first game of the recent home-and-home series with the Toronto Argonauts. The six-foot-three, 243-pound native of Montreal, was flagged for holding (nullifying an eight-yard C.J. 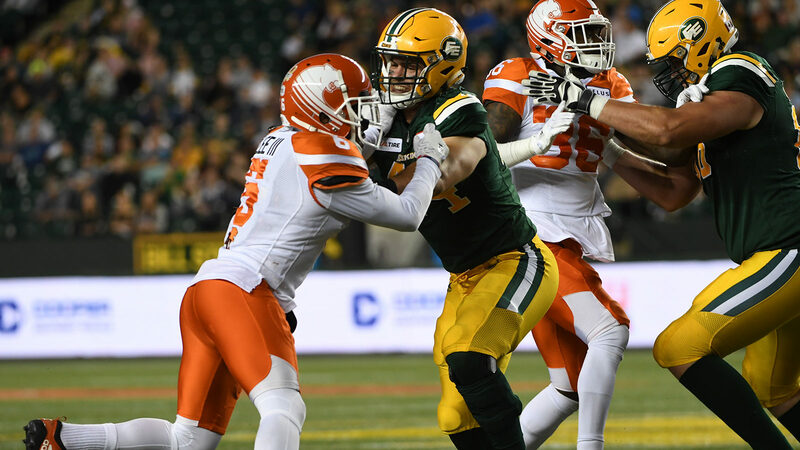 Gable touchdown run in the second quarter) and roughness (the 15-yard penalty pushed the Eskimos back to a second-and-21 situation in the fourth quarter). If a penalty happens, however, Dupuis said he tries to block it from his mind. “Whenever I get a chance to touch the ball, I catch it,” he said. “I take a lot of pride in that, so I keep working on that and make sure that my hands are ready whenever they ask me to catch a ball. 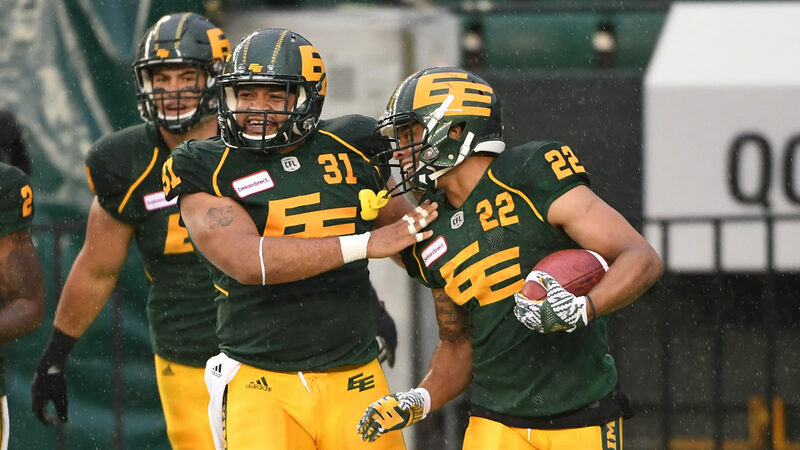 “He was a good fullback here, and he’s a great coach, too,” said Lochard, who was joined by former Laval running backs Normand and undrafted rookie Chris Amoah during the Eskimos training camp this year. Amoah was released after training camp while Normand is currently on the six-game injured list after playing the first three games. Lochard, a Montreal native who stands six-feet and weighs 215 pounds, was the most valuable player (MVP) when Laval won the Vanier Cup in 2013. Lochard, who was released at the end of training camp and quickly re-signed the next day, is on all four of the Eskimos special teams.